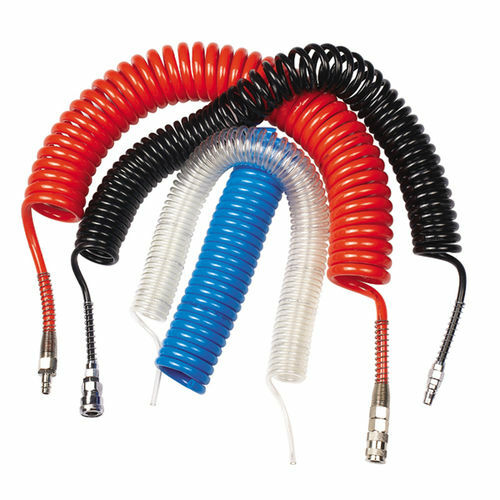 Pneuflex's polyurethane coiled tubing is made from our high quality standard polyurethane tubing. With its extremely tight outside and inside diameter tolerance, Pneuflex’s polyurethane coiled air tubing is ideal for use with push-to-connect fittings, push in fittings and pipe barbed fittings. Inch and metric air tubing sizes are both available. Different length and different colors for your selection.